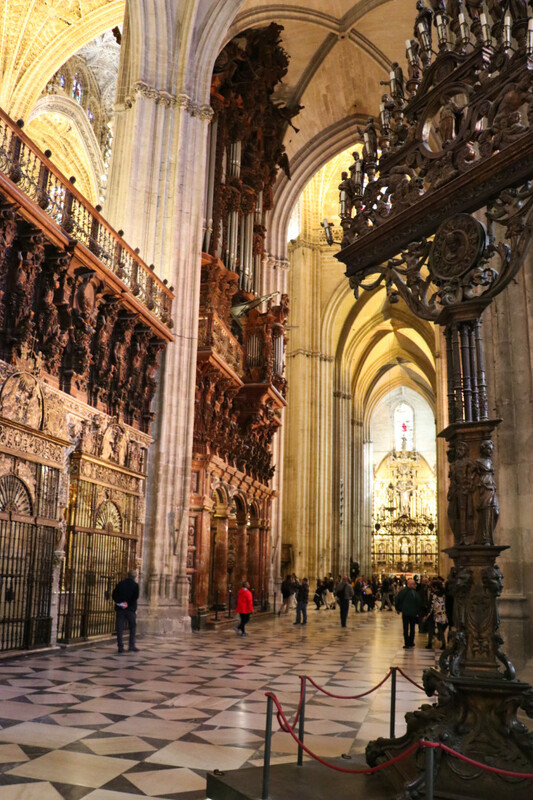 Seville Cathedral is the largest Gothic church in the world and filled with art. The Tenebrario candelabra is nearly 8 m tall. At the center of the church – left on this photo – is the choir and chancel that looks onto the huge carved altarpiece.